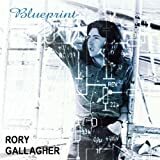 These are lyrics by Rory Gallagher that we think are kind of repetitive. Rory Gallagher's, "Got My Mojo Workin'"
Ok, ok we know. Now sing another line.